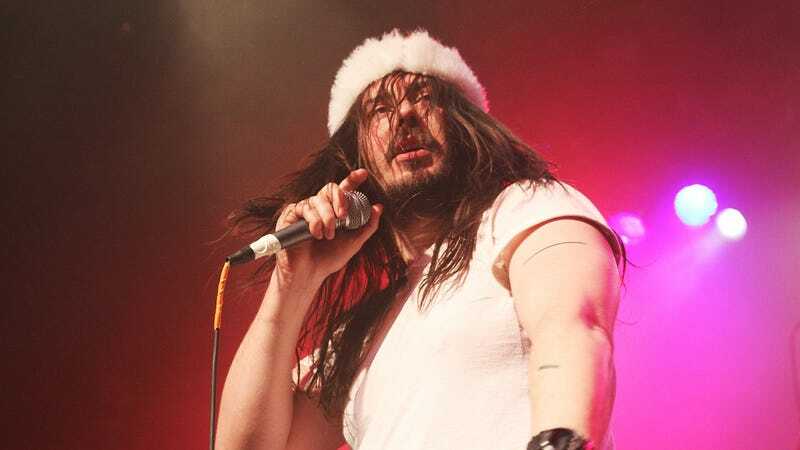 Once again establishing his bona fides as the patron saint of partiers everywhere, rocker Andrew WK has offered to pay a speeding ticket for a fan who was too moved by the spirit (of partying) to obey his local traffic laws. Per BBC News, British citizen Luke Mitchell was rocking out to WK’s new single “Music Is Worth Living For”—off of his upcoming album You’re Not Alone—a few nights ago, when he got pulled over for letting the music push him far past the speed limit. WK caught wind of it on Twitter, and offered to take responsibility for his part in inspiring the criminal act. Despite WK’s generous offer, though, Mitchell turned him down, asking him to donate the money to charity instead. But don’t worry: WK turned around and invited him to an upcoming concert, reminding us all that partying isn’t about money or municipal speeding laws; partying is about going nuts at concerts with your favorite rock stars.